Sometimes, a bit of satire can move people out of the dark political atmosphere and the feeling of hopelessness often felt during elections. Political satire is a healthy thing that should exist in every country. The Rhinoceros Party was founded in 1963 by Canadian writer Jacques Ferron, who immediately became “Éminence de la Grande Corne du parti Rhinocéros” (Eminence of the Great Horn of the Rhinoceros Party). A few years later he was joined by a group of artists who helped him form a “political platform” and participate in the federal elections. With their fictional political platform, Ferron himself (1979), poet Gaston Miron (1972) and singer Michel Rivard (1980) ran against Prime Minister Pierre Trudeau in his Montreal seat. So what was the party all about? Ferron and his followers claimed to be the spiritual descendants of a Brazilian rhinoceros called Cacareco. Cacareco was famous because in 1958 she was elected as a member of São Paulo’s city council. She was a symbol of the fight against corruption. Cacareco was so popular that even today, the term “voto Cacareco” (Cacareco vote) is used to describe protest votes in Brazil. In the spirit of Cacareco, the Rhinoceros Party of Canada listed Cornelius the First, a rhinoceros from the Granby Zoo, east of Montreal, as their leader. When asked why they choose a Rhinoceros to lead their party; they replied that there is no one more suitable for the job because all politicians are: “thick-skinned, slow-moving, dim-witted, can move fast as hell when in danger, and have large, hairy horns growing out of the middle of their faces”. 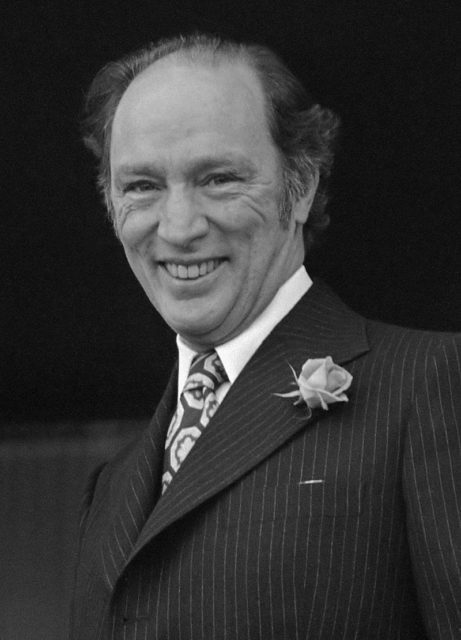 During their 1979 Governmental campaign, the Rhinoceros Party of Canada promised to move the seat of the Queen of Canada to the city of Buckingham, Quebec. Besides this, they proposed that lottery winners should be given a position in the Canadian Senate instead of receiving money as a prize. They also pledged to move Great Britain into Canadian territory and make it Canada’s eleventh province. 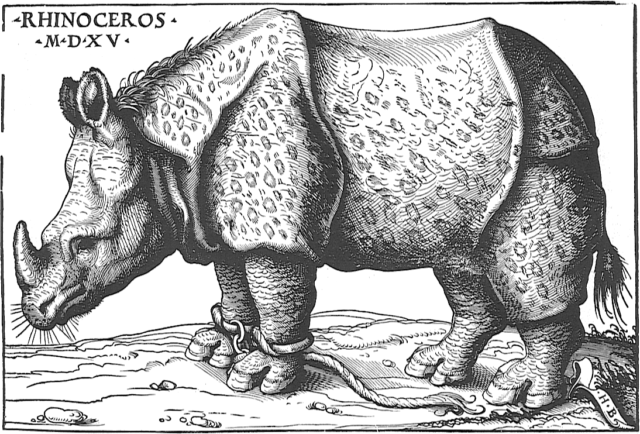 The impression of Hans Burgkmair’s 1515 woodcut copy of Dürer’s Rhinoceros; the logo of the Rhinoceros Party. To boost the country’s Energy, the Rhinoceros Party promised to build nuclear power plants in every household and provide monthly coverage of lead underwear to every Canadian. This also meant that Indoor lighting would be provided by radioactive citizens. The Rhinoceros Party was also very “liberal” towards the rights of men. They promised that men would be allowed to work as prostitutes, wet nurses, secretaries, and receptionists. The Rhinoceros Party’s next big campaign was the 1984 campaign during which they promised to destroy all small businesses and replace them with “very small businesses” with less than one employee. One of their candidates, Stardust the Magician pledged himself to build a roof over the Olympic Stadium that was supposed to be made out of a single $25 million handkerchief. One of the more amusing individual candidates that supported the Rhinoceros Party was Ted “not too” Sharp who ran in Flora MacDonald’s Kingston and the Islands. His slogan was “Fauna, not flora” and he promised to give fauna equal representation in the government. Ted also had some plans for the Canadian military. He wanted to tow Antarctica north to the Arctic Circle with the following purpose: “Once we have Antarctica, we’ll control all of the world’s cold. If another Cold War starts, we’ll be unbeatable”. The Rhinoceros Party probably lacked some serious leadership, but they were never out of crazy and amusing ideas. 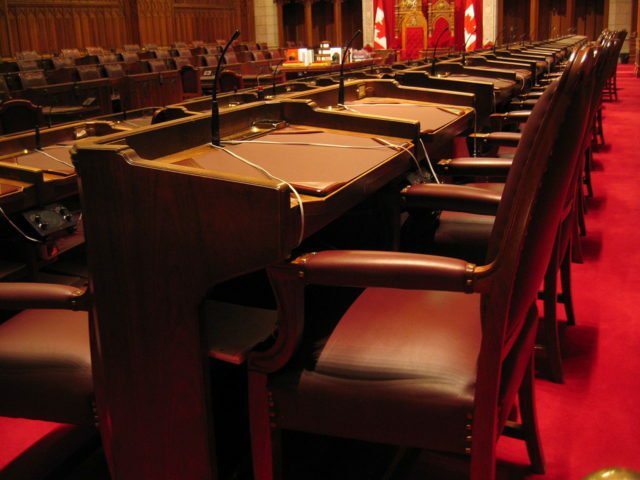 Here is a list of some of their smaller campaigns: Repealing the law of gravity; Providing higher education by building taller schools; Making Montreal the Venice of North America by damming the St. Lawrence River; Abolishing the environment because it’s too hard to keep clean, and it takes up so much space; Selling the Canadian Senate at an antique auction in California; Declaring war on Belgium because a Belgian cartoon character, Tintin, killed a rhinoceros in one of the cartoons; Banning guns and butter, since both kill; Making the Trans-Canada Highway one way only; and last, but not least: Changing Canada’s currency to bubble gum, so it could be inflated or deflated at will. Whenever the Rhinoceros Party decided to make a public appearance, it was never a dull political speech. They made the best spectacles, for example, Michel Rivard, one of the party founders, appeared on TV during free air time given to parties during elections and said: “I have but two things to say to you: Celery and Sidewalk. Thank you, good night”. Another party candidate called Alfred the Alien (the only politician that claimed he is from outer space), often appeared dressed in a tuxedo, with baggy gray sweat pants, a cummerbund decorated with “rhino stones,” and a gray headdress with a horn inside a condom. The Rhinoceros Party was dismantled in 1993 after new rules for political parties were implemented. 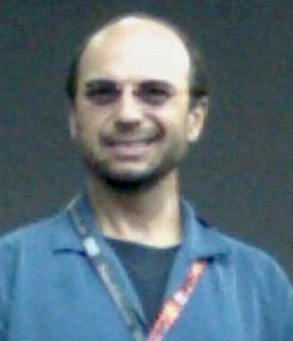 A party was required to run candidates in at least 50 ridings at the cost of $1,000 per candidature.